Filippo Palizzi and his brother Giuseppe were pioneers of Italian Verismo painting. Filippo became famous for his views of the area around Naples. He looked for small, unknown places, mountains, trees, water, certain types of men and women with a naive and natural expression. "He did not think about it, he went on, nor did he plan on great pictorial effects: he found his paintings on the spot… and made everything he saw interesting”. 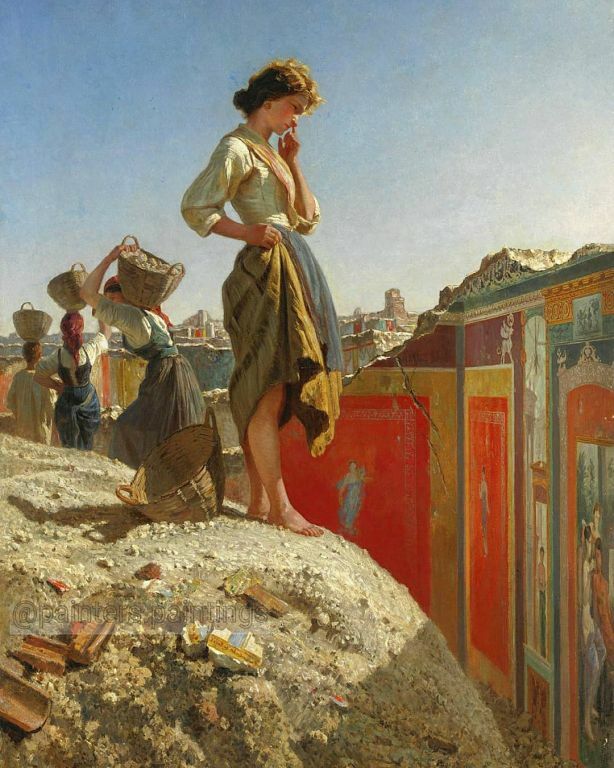 This romantic painting shows what the excavation of Pompeii in the 19th century may have looked like.